Little over a week ago we witnessed a completely unexpected result in the most unpredictable election in decades (what a surprise!). 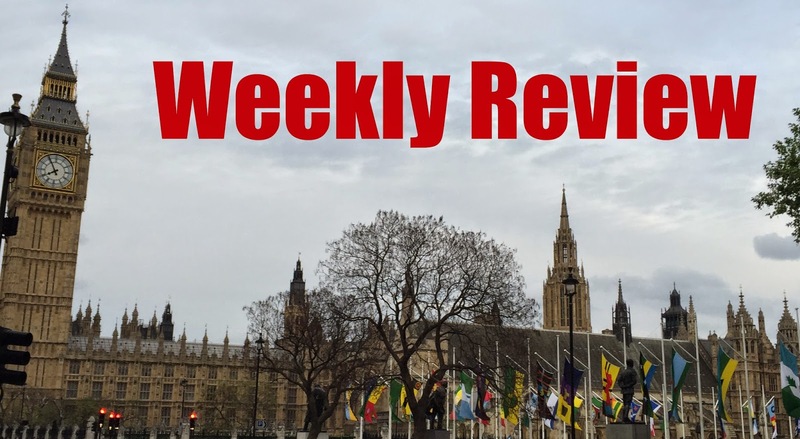 The Conservatives were returned with a slim majority and the following day the leaders of the Lib Dems, Labour and UKIP all departed...so it's needless to say that this week has been very interesting. After failing to become an MP, Nigel Farage stepped down, promising to take a long summer holiday and consider re-standing in the Autumn. This was expected, he had always promised to step down if he failed to win in South Thanet. However, what was not expected was his miraculous un-resignation on the following Monday. According to the party, the National Executive denied his resignation – apparently they need him. Cue massive political fallout – Douglas Carswell (the party's only MP) refused to back his new (and old) leader publicly, while also having a dispute about the party's "short money" (£650,000 assigned for helping set up the party in parliament). Carswell has said that he didn't need the money, "UKIP is supposed to be different,” he said – don't forget UKIP's success can be partly attributed to milking the EU for every penny they could. Meanwhile, Farage says he will be attempting to unseat Labour in an upcoming by-election – in what will be his eighth attempt at running for parliament. And if this wasn't enough, the party's economic spokesman Patrick O'Flynn said that Farage was influenced by an inner circle of advisers, who were trying to turn UKIP into a hard-right Tea Party equivalent – alienating its more centrist, old Labour voters. He said that Farage had become "snarling, thin-skinned, aggressive" - but then clarified he fully supported his leader and was not trying to unseat him (why say such nasty, hurtful things then?!). The advisers later resigned, but not before several UKIP members (including the infamous Godfrey Bloom) called for Farage to go – or at the very least face a leadership contest. It’s amazing how far UKIP have fallen from the heights of last Thursday – coming in 3rd place with a massive 12% of the vote. With Farage now assuring everyone he's not going anywhere fast, don't expect all this to blow over anytime soon. When the party should be building on its successes, getting embroiled in a civil war will not be doing them any favours. If you'd have asked me to pick a party that would be infighting after the election the Lib Dems would have been top of my list. They lost 49 seats, leaving them with just 8 – their most appalling result since the 70s. However, they have conducted themselves with grace and maturity – not only that, they've had over 12,000 new members join – the biggest surge in new members they've ever had. The Lib Dem's influence on government is only now being realised, with the Tories promising to implement the so-called "Snoopers Charter" and more severe cuts on welfare, now their coalition partners are out of the way. From the ashes, two leadership contenders have emerged Norman Lamb and Tim Farron. Lamb has been in government and is certainly the more centrist of the two, Farron is more left-leaning and popular with the grassroots of the party. Farron has been backed by the Scottish and Welsh parties as well as several of the remaining MPs. Charismatic and northern, it seems that Farron is the clear frontrunner for the party's leadership. He's pledging to rebuild the party from the bottom up, starting with the Scottish and Welsh elections next year. With Ed Miliband gone, a few of the runners and riders have emerged for leadership (and I'm sure we can expect a few more yet). Andy Burnham, Yvette Cooper, Mary Creagh and Liz Kendall have all declared their intentions (and Tristam Hunt is expected to). Chuka Umunna also intended to stand, but quickly withdrew after apparent press harassment of his and his girlfriend’s family. However, Labour have yet to decide what lost them the election. Did they stray too far from the centre, alienating the middle-classes who voted for Blair or did they abandon their traditional working class voters who left them for UKIP? Any move further left could have dire consequences, much like it did in the 80s, where as a move back towards the centre could strengthen UKIP in their northern heartlands, much like the SNP in Scotland. Speaking of Scotland, Jim Murphy (the Scottish Labour leader) has promised to step-down, despite narrowing surviving a no-confidence vote. Mr Murphy was seen as too Blarite and centrist in the face of the anti-austerity SNP, however many SNP voters have praised Murphy for the great job he has done – begging him to stay for next year's Scottish parliament elections (I wonder why?). 4. And finally...oh yeah, there's a new government! Cameron's appointed his first all Conservative cabinet. As we already knew, he kept George Osborne (Chancellor), Teresa May (Home Secretary), Philip Hammond (Foreign Secretary) and Michael Fallon (Defence) in their respective positions. He then moved onto the more controversial figures of Iain Duncan Smith (Work & Pension) and Jeremy Hunt (Health), who both kept their roles too, where as Michael Gove moved to Justice, with the task of guiding through the changes to the Human Rights Act. In their first week, Cameron and Osborne have re-announced the Northern Powerhouse plan, promising city devolution to any region that also takes on an elected "metro mayor" (have they read my article? ), and Cameron has held a "constructive discussion" with Scottish First Minister Nicola Sturgeon – pledging to implement all the Smith commission proposals and promising to look into further devolution. After a fairly quiet week for the new government, I'm sure we can expect much more controversy in the weeks and months to come. Maybe even enough to push UKIP off the front pages!